The embattled state's attorney of Cook County, Illinois, has asked to recuse herself from the murder prosecution of Officer Jason Van Dyke, the white Chicago police officer who shot a black teen 16 times. Anita Alvarez requested that the court appoint a special prosecutor to handle the case. 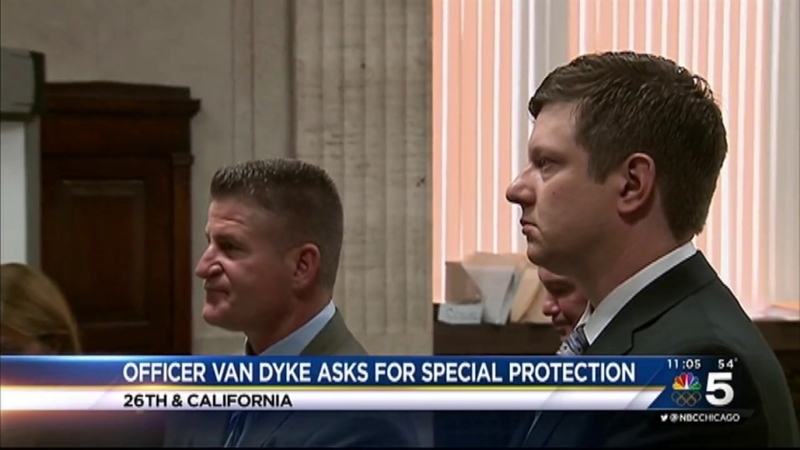 Van Dyke is accused of shooting and killing 17-year-old Laquan McDonald in October 2014. He was charged with first-degree murder and has pleaded not guilty. "My primary goal in bringing a charge of First Degree Murder in this case is and always has been about seeking justice for Laquan McDonald," Alvarez said in a written statement in court Thursday. "Today I believe that I am fulfilling this obligation by requesting that the court turn this case over to a special prosecutor." Alvarez has faced mounting criticism over her handling of the case, with many questioning why it took more than a year to bring charges against the officer involved in McDonald's killing. Activists and civil rights attorneys previously asked Judge Vincent Gaughan to appoint a special prosecutor, alleging Alvarez was "disqualified from representing the people." Alvarez has defended her handling of the case, but has since lost her campaign for re-election. Gaughan said Thursday he plans to make a decision about the request for a special prosecutor June 2. Van Dyke is accused of shooting McDonald 16 times while the teen was walking away from police in October 2014. Dashcam footage showing the shooting was released to the public in November 2015, sparking protests and outrage nationwide.